But the cold and wet weather isn’t as motivating for getting out there to hit a workout and as the festive season approaches, protecting your health kick from over-indulgent feasts and treats is also another toughy! So I thought I’d share a few ideas to help keep you feeling healthy, happy and motivated through the winter months. Keep Hydrated. Keeping hydrated is super important all year round. Water helps our body’s ability to burn fat, curbs our cravings and keeps fatigue at bay. The UK Tea advisory Panel also tell us that tea is just as hydrating as water, so why not warm up with a green tea or an Earl Grey? 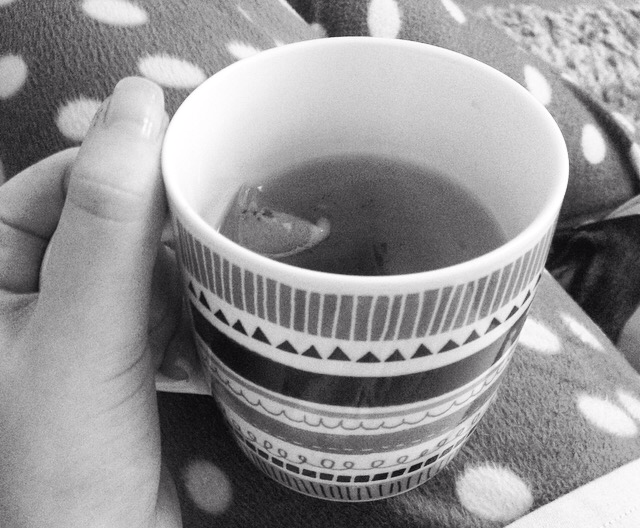 I love the Clipper Tea selection of flavoured green teas… Pear and Honey Green Tea is my go to! 2. Plan your workouts. Try planning your workouts or make a goal of how many times you want to workout this week. Remember, keep mixing and changing up your workouts to keep things interesting! And why not treat yourself for hitting that goal too – promise yourself some pamper treats for the end of the week as your reward, or a shopping trip at the end of the month. I love treating myself at Lush with a new bubble bar like The Comforter and indulging in a hot Lush bath bombed bath for a bit of me time at the end of the week as my little reward! 3. Work with the seasonal rhythm. Our energy mentally and physically are definitely influenced by these short winter days – meaning we can aim to be more productive in the mornings to make the most of the days. Plan your workouts and important tasks for the AM so you feel achieved and motivated for the day – and then you can settle down and relax when it’s dark. 4. Find healthy yummy alternative recipes of your favourite treats! Yes, there will be times you want to, and CAN indulge! I love finding healthier alternatives to my favourite calorific treats and I’m all about eating clean and making things from scratch. I find a lot of recipes off pinterest and blogs I follow, like myfitnesspal and Deliciously Ella! I’m even working on a few of my own creations too! Making your own version of your winter favourites means you can still have your treat taking all the artificial ingredients out of it and make something even more super yummy and natural! I’m loving Deliciously Ella’s Hot Chocolate recipe at the moment! 5. Put on those Winter Woolies! Cold weather can make us feel grumpy, our body’s sluggish and generally, makes us want to hibernate! So treat yourself to some new winter wear to keep you feeling warm and snug! I am absolutely loving my new snug Stone Faux Shearling Lined Mittens from New Look (£7.99). Staying warm and dressing for the great outdoors helps us seize the season and embrace the wintery outdoors! Don’t forget to switch up your workout clothes too – because no one wants to wear shorts to run in this weather.